Sales Discipline : Twice as Good? We did some research into Sales performance in 2010. Particularly into what the best performers did that the rest did not. It was clear that high performing sales organisations outperform the rest in a number of aspects in the sales process. Not least the ability to have a disciplined approach to sales. Aberdeen Group research in 2011 supports our findings with similar results. They found that 58% of best in class companies used a structured sales methodology in their approach to selling and 70% of these integrated their approach into their CRM approach to improve the sales management process. It would appear that there remains some room for improvement in many B2B sales organisations. 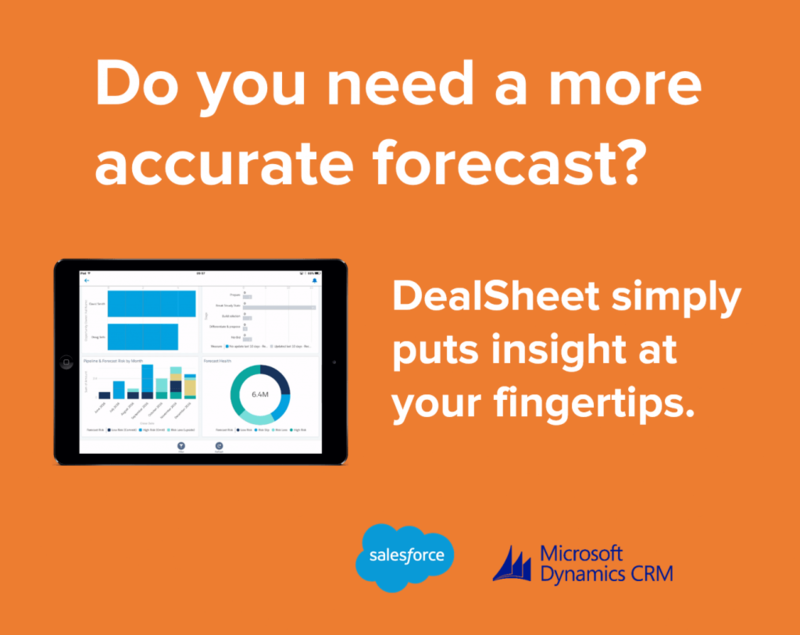 This is where we believe our Deal Sheet app can can help sales leaders who use salesforce to close the performance gap they seek. As a fully integrated and disciplined approach to managing opportunities it provides a clear structure for effective review.